Which countries have banned both direct flights and overflying traffic to/from Israel? Afghanistan, Algeria, Bahrain, Bangladesh, Brunei, Iran, Iraq, Kuwait, Lebanon, Libya, Malaysia, Morocco, Oman, Pakistan, Qatar, Saudi Arabia, Somalia, Sudan, Syria, Tunisia, UAE, Yemen. These countries do not officially recognise Israel, and prohibit flights going to/from Israel from using their airspace. 1. 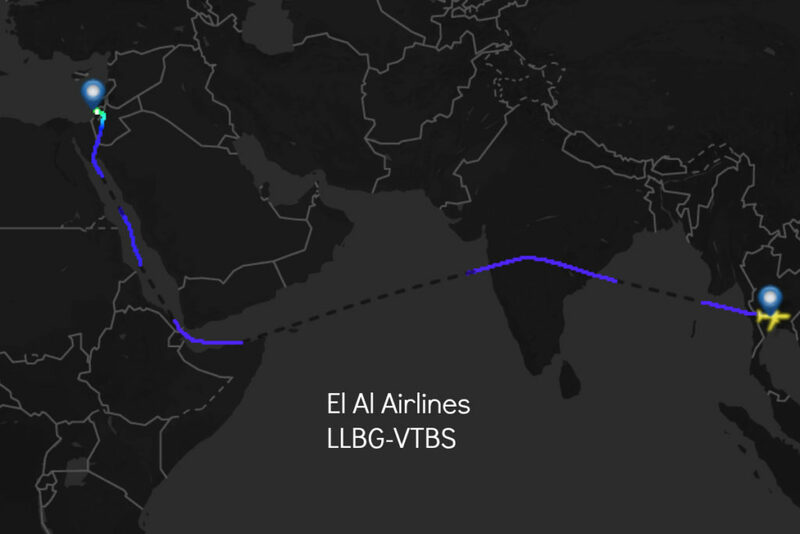 In March 2018, Saudi Arabia started giving Air India permission to use its airspace on flights between VIDP/Delhi and LLBG/Tel Aviv, thus marking the end of the 70-year airspace ban that Saudi Arabia had in place against flights to/from Israel. 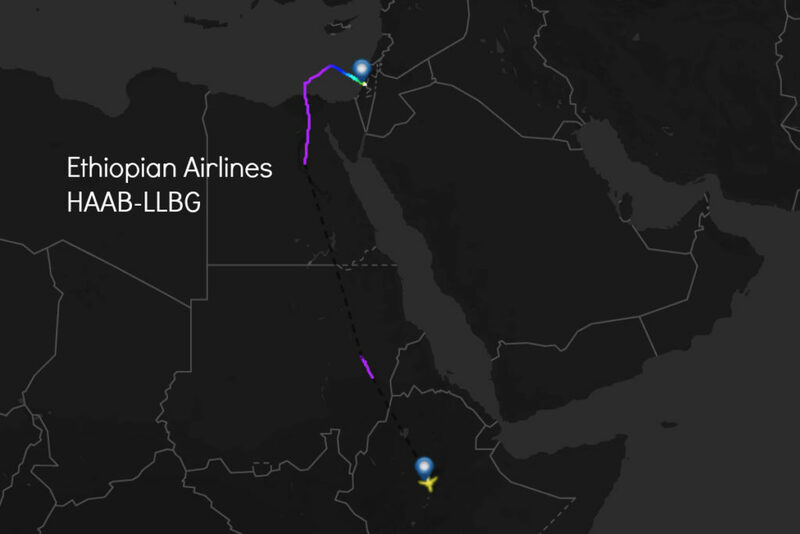 But for everyone else wanting to do private or non-scheduled flights to/from Israel, Sudan airspace is off-limits. For anyone wanting to get from Israel to Asia, there is a narrow corridor available down the Red Sea, the Gulf of Aden, and across the Indian Ocean. This takes advantage of the fact that most countries operate with a 12NM rule – that is, if you’re in their FIR, and you’re 12NM away from the landmass, you don’t need a permit. FL290 for southbound traffic, and FL300 for northbound. ATC at both Cairo and Saudi FIRs are used to that. When departing from Israel and going southbound, after losing radar contact with Cairo, you are on your own. Report on Africa VHF freq that you are "over International waters southbound / northbound etc." Listen to Saudi control and try to call them - but do not expect an answer. You will need to maintain your own separation visually, although the Saudis will see you on their radar and they are used to jets flying there. Keep your landing lights on 'pulse' for any opposite traffic. Contact Asmara (Eritrea) control 10NM before entering their FIR. Use SAT phone if no one answers on VHF. On the reverse side, Israel only allow overflights of their airspace to Royal Jordanian Airlines, and only when departing from or flying to the following airports: CYUL/Montreal, EHBK/Maastricht, KDTW/Detroit, KORD/Chicago, LTAC/Ankara. Although it’s technically possible for other operators to apply for an overflight permit, it can take up to 30 days, and it’s highly unlikely you’ll get approved unless you’re operating some kind of diplomatic or state flight. For direct flights to Israel, you can only operate from certain authorised airports. See the list of airports here. If you want to know exactly how to get your landing or overflight permits, check out our Permit Book – this tells you how to get a permit for each and every country in the world! Does anything in this article look wrong to you? Let us know, so we can fix it!